We are ISO 9001:2008 certified company and so we follow best quality procedures to manufacture different types of Gas Trains. 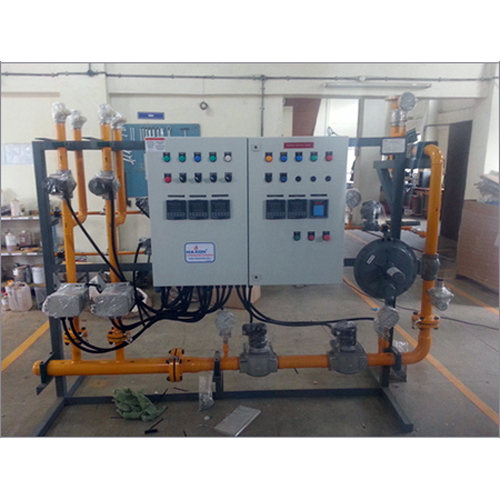 These are used with Burner Control Systems for managing the rate and quantity of gas to burner from fluid. Their application areas are block-type thermal power stations, gas blower burners and gas motors. We use a combination of latest technology and best material to manufacture application specific design of gas trains for use in industrial furnaces, steam boilers and thermal power stations. These are also used in various processes for thermal production. Filter part of these trains is used to remove dust and dirt from the gas, ensuring that no harm is caused to the regulator parts. Slam shut-off valve is always in the open position. In case of increased outlet pressure, beyond a certain limit, the valves automatically cut off the supply, hence securing the system. The purpose of using safety relief valve is to bestow the feature of extra safety. It provides a perfect backup to Slam Shut-off Valve, in case of its failure. Why Choose our Gas Trains? The designs of our gas trains are innovative and perfect for ensuring improved control of managing the rate of gas flowing from a gas supply to burner. It has in in-built sensor which calculates the flow rate of fluid. These can be easily used in various conditions such as at different air pressure, fuel flow pressure, temperature and others.